There was a lot of excitement regarding the Coventry game, with almost 5000 Sunderland fans making the trip to the Midlands - but a pretty poor game of football probably wasn't what they were hoping for. Following a slightly disappointing day, I take a look at the positives that can be taken from our draw with Coventry. The trip to the Ricoh Arena was a very enjoyable one, and despite a lacklustre performance from the lads, nothing could stop the 5000 fans from having fun and making themselves heard throughout. Before the teams had even come out of the tunnel there was already choruses of 'Sweet Caroline' and the crowd only got louder. In all honesty, the first half was one of the most boring halves of football I have ever seen, but I don't think that was completely down to the players. It only took a few minutes for Glen Loovens to drop to the ground in pain and had to come off, and if that wasn't bad enough Jack Ross opted to replace him with Adam Matthews - ugh. There was then another two first half substitutions, with Denver Hume and Coventry's Junior Brown limping off. With the amount of stoppages in the first 45 minutes there was no surprise that there was an extra eight minutes to play before half time came. 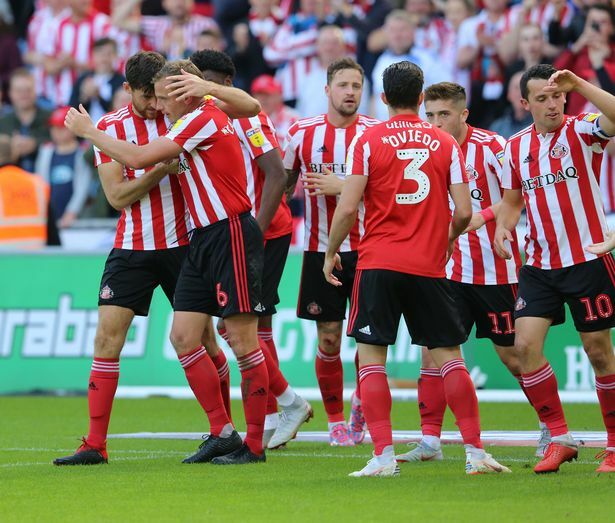 The second half was a slight improvement, with Lee Cattermole's goal lifting the Sunderland fans spirits, only to be brought back down again by a Coventry equaliser 20 minutes later. Most will have been hoping to head back up north with three points, but my day definitely wasn't ruined and despite the draw and the injuries, there were still some positives to take away. Jon McLaughlin has proved himself more and more each week. He was already a massive improvement on the disastrous duo of Jason Steele and Lee Camp last season, but his performances recently have been very impressive. The 31-year-old made history with his penalty save against Fleetwood Town a few weeks ago and since then has been pulling off vital saves for the Black Cats. McLaughlin stood out in a rather poor game on Saturday, making some very important saves that were greeted with cheers and applause by the fans, and it was no surprise that he was named man of the match by many. He is looking very promising for his future at Sunderland and it is just relieving that we finally have a decent shotstopper between the sticks. Another name thrown around for MotM was Lee Barry Cattermole and he too would be very deserving of the award. Cattermole was one of few outfield players that really impressed me and it was topped off with his goal - his third of the season. After all the hate Cattermole got and the rumours of his departure imminent over the summer, it is brilliant to see him stepping up and doing so well in our League One campaign and he only seems to be getting better. The third tier seems almost too easy for him, despite his disastrous campaign in the Championship. The 30-year-old should easily be one of the first names on the teamsheet and I have no doubt about the fact he will continue to play a very important part in our bid for promotion. With Catts banned for the Peterborough game on Tuesday, it is even more of a relief to see Max Power return to the side. Dylan McGeough made way for the former Wigan Athletic man around the hour mark and he made a noticeable difference to our midfield. It is very clear we have missed Power since he was sent off against Oxford United and he will have the perfect opportunity to continue his brilliant form prior to his ban on Tuesday night. Once Cattermole returns for our trip to Bradford next weekend I expect him to partner Power in midfield, with McGeough dropping to the bench after struggling to impress so far. A duo of Catts and Power is truly exciting. Whilst a draw against Coventry probably isn't something we should be jumping for joy over if we are to fight for promotion, given the circumstances it isn't terrible. The injuries to Loovens and Hume really made it difficult for us to get into our groove, especially given the terrible form of substitute Adam Matthews. As well as this, Gooch later picked up an injury of his own but was forced to stay on the pitch for the rest of the game due to Ross having already used all three substitutions - effectively leaving us with ten men on the pitch. We were also nowhere near the level we played at last week against Rochdale, and while that it is slightly disappointing, we still managed to come away with a point despite the poor performance. Finally, the main point of the whole trip to Coventry is the fans. No matter what happened on the pitch, the amount of supporters that travelled down to Coventry in their thousands was excellent and proved a very entertaining afternoon in the Ricoh Arena. Us Sunderland fans well and truly deserve everything that has happened since the summer and I really hope the players continue to reward us with victories. Who was man of the match against Coventry?